Looking for a perfect vacation and picture getaway? Kodachrome Basin State Park offers stunning views to its tourists with its red rock formations under the blue sky. When you go to the park, you will be amazed with the captivating chimneys (monolithic sedimentary pipes) that are rising high making it look like a skyscraper. Apart from its magnificent views, there are so many things that this state park has to offer. In a 1948 National Geographic Society Exploration comprised of photographers, they were able to witness the amazing landscape with its contrasting colors that bring out the natural beauty of the place. The photographers named the area “Kodachrome Flat”. The area was named after the release of photo film from the camera brand Kodak. Eventually, the area became popular as Kodachrome Basin State Park. The park features 67 chimneys that rise high in the sky. They range from 6 ft tall to more than 170 ft. You can just imagine how these natural skyscrapers look in person. Whenever you look at the area, it always sparks your imagination with its natural rock formations and its tantalizing beauty. Two theories emerged as to how these pipes were formed. In the first theory, the area was said to be seismically active for years. As earthquakes occurred, it resulted to the creation of pathways through rock layers. These pathways were filled with sediment and became solid rock. This explains why they have successfully withstood erosion for years. The other theory believes that pipes actually came from ancient springs. Choking up with sediments, it resulted into a hard rock formation that is resistant to erosion. Although the surrounding rock or the outer rock layers would erode, these pipes were able to withstand erosion as they’re hard cemented. Photographers are always mesmerized with the picturesque beauty of Kodachrome Basin State Park. You will never miss a shot especially since the area has lots of nice views perfect for pictures. 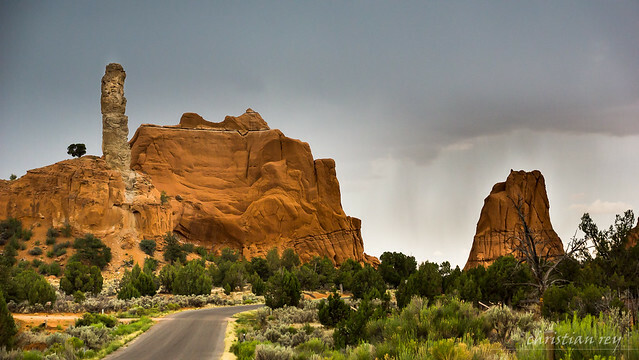 Although this place is considered to be a haven for photographers and for people who want to witness stunning views, Kodachrome Basin State Park has a lot more to offer. If you are into outdoor activities, you can enjoy all kinds of different activities while you are at the park. From wildlife watching to camping, there are lots of recreational opportunities that you can try. The area is home to different species perfect for wildlife viewing. Plus, you can also enjoy the different campsites available to its guests. These activities are perfect for friends and families who want to have a great time. Hiking is also a nice activity that you can try since there are amazing hiking trails in the park. Whether you are searching for a relatively easier trail or a much more difficult one, there are plenty of options to choose from. What you will love about hiking at Kodachrome Basin State Park is that you do not just get to experience the physical activity at the park. You also get to witness spectacular views and you can even explore geological areas. For instance, you can go to the Hat Shop, Secret Passage and Cool Cave. If you want to set-up a camp, the park has 31 different campsites to choose from. But just make sure that you check out the details since some of these campsites are closed especially during winter season. The full-hookup sites are available all throughout the year. Witness the natural and stunning views of Kodachrome Basin State Park and try the fun activities. Come and visit the park and have a great time!